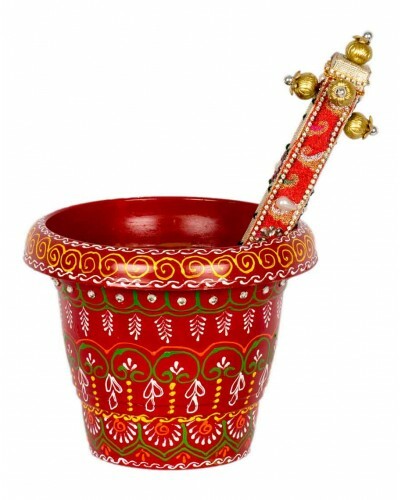 Product is made of wood & decorated with colorful decorative materials. This product is made out of wood and beautifully decorated. It is used in traditional wedding ceremony of mandap muhrat.